Horned Larks are named for the dark feathers near the back of their head that sometimes become erect and resemble horns. 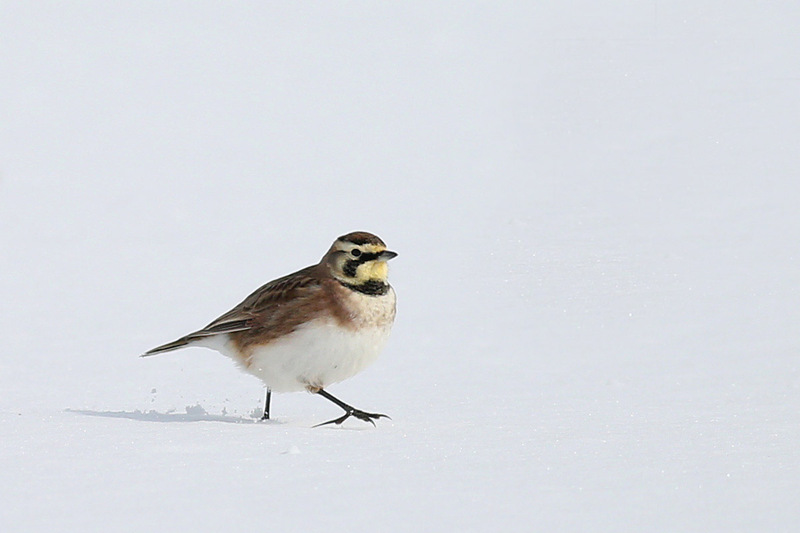 During the winter, these birds typically form large flocks which often include Lapland Longspurs and Snow Buntings. Horned Larks are usually found in fields where the snow has blown the ground bare, but they can also be found hunting and pecking on manure and silage piles. As they walk or run along the ground foraging for seeds on bare ground, these brown-backed birds are very well camouflaged (not so much on snow). 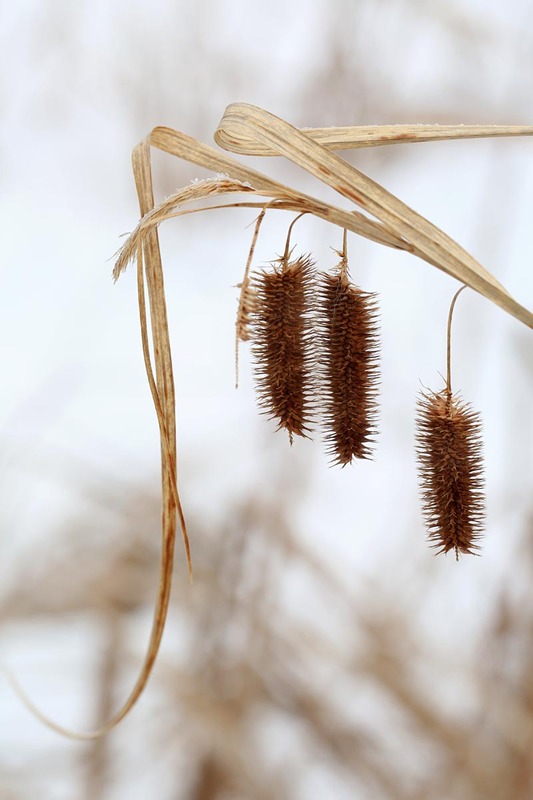 There is a wide variation of shades of brown back feathers throughout their range, and researchers have found that their color is strongly correlated with the color of the local soil. Horned Larks nest on prairies, deserts and agricultural land throughout much of the U.S., as well as the Arctic tundra. In another month, most of the Horned Larks overwintering in northern New England will migrate north.